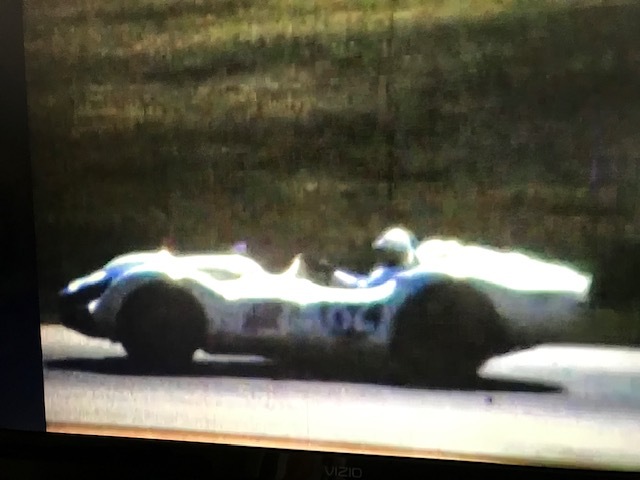 The first major race at Riverside Raceway was held in 1957 as a SCCA national event and American icon racer Dan Gurney won a production race in his big time coming out in racing. 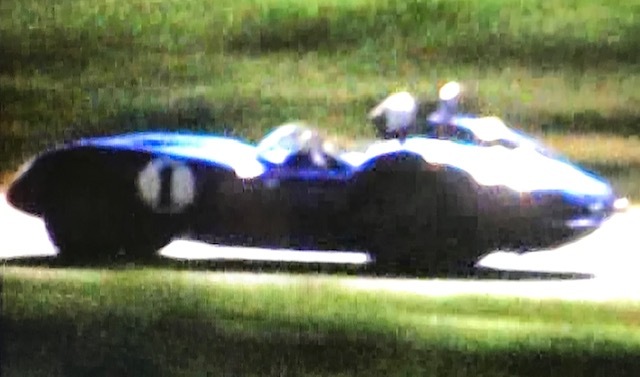 In 1958 the first LA Times GP was held with some International names such as Jo Bonnier, Roy Salvadori and Jean Behra coming to run against top drivers from the US such as Phil Hill, Jerry Unser, Dan Gurney and Chuck Daigh in the American built SCARAB. 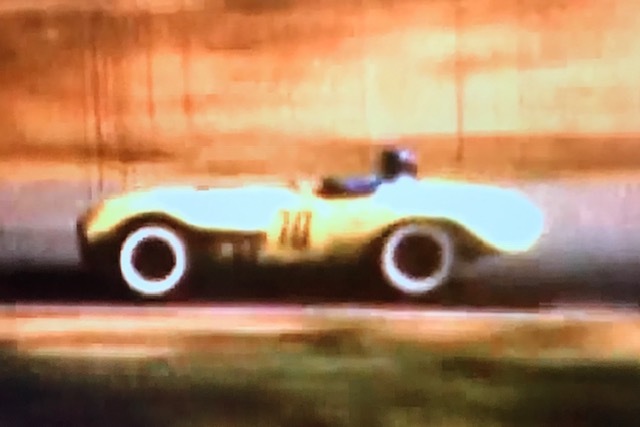 Not many larger events were held at Riverside in 1959 with the track and ownership financial problems but in 1960, with some new cash infused, the next Los Angeles Times Gran Prix was held with both Sports Cars and Formula 1 cars. Stay tuned and TACH IT UP…………………!!! 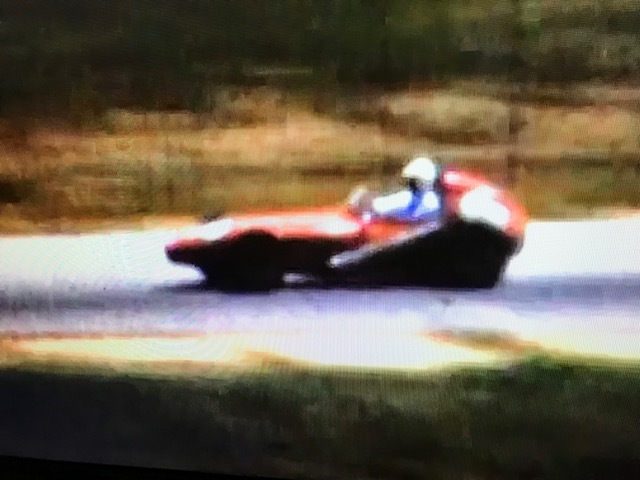 Pete Lovely at speed in his awesome FERRARI. 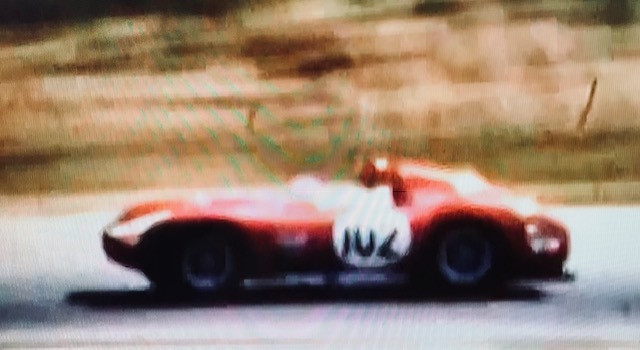 Lister-Chevy ” Knobbly”…….unknown driver, need to look up. 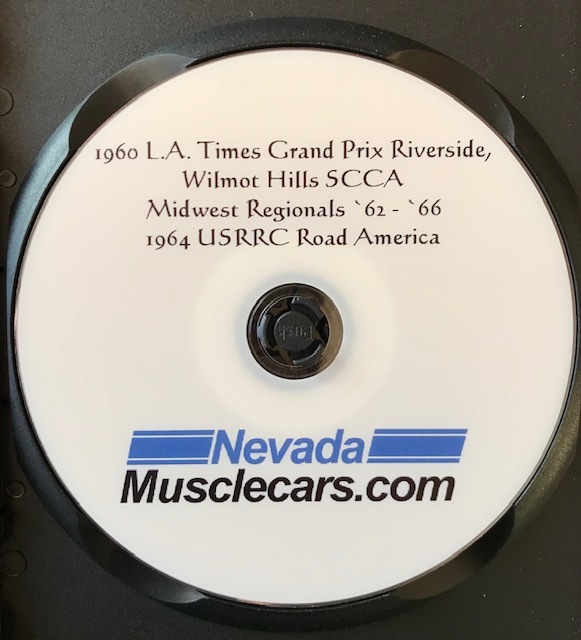 Our new “Draft” disc in rough cut to be edited and put up soon….. Even after seeing this footage again and getting it digitally reproduced and posted on You Tube, I am still amazed at how much green long grass and vegetation is on the slope banks coming up through the eases. When we ran there in the late 70’s, slopes had been pushed back and they were almost completely barren. Typical desert at the time..